One of the biggest obstacles physicians have with integrating electronic medical records is in the stigma these systems have for being difficult to operate, train on, and utilize in the clinical setting. From a major health system stand point, some physicians even protest their use where administration opts for certain systems without the feedback from clinical staff and physicians. The result is pushback from physicians because the EMR systems, often chosen by price rather than functionality, are incomplete systems that bind up the day to day operations. Physicians should recognize however that not all electronic medical records are designed the same. While there are a lot of simple EMR systems applications with minimal functionality (designed more to meet meaningful use than offer true practice management software), there are more complete electronic medical records systems that offer an all-in-one solution. Complete EHR (electronic health records) systems offer a significant advantage to healthcare providers and physicians because they are often dually certified. 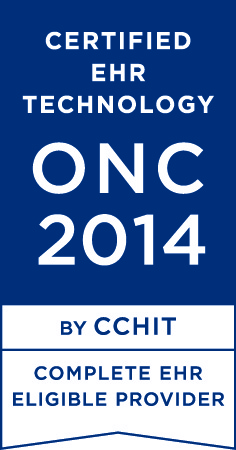 The benefit to dually certified EHR systems is that not only do they meet meaningful use requirements established by the Office of the National Coordinator for HIT (ONC), but they've also been rigorously tested for functionality, interoperability, safety and security as required by the independent CCHIT Certification program. According to Karen M Bell, MD and chair of CCHIT "It's no surprise that the vast majority of physicians and other providers are choosing tried and true CCHIT Certified products that have been proven over the years to support their unique business and patient care needs." The full-system functionality of these complete, dually certified EHR systems is extremely attractive to major hospital systems and is a smart investment for smaller practices who need a complete solution in practice management software. The truth is in the numbers, as more than 70% of the complete electronic health records of providers and hospitals that successfully attest to meeting meaningful use requirements (and qualify for the incentives as a result) are dually certified under both ONC-ATCB and the CCHIT certification programs. According to the Centers for Medicare and Medicaid Services (CMS), over 22,000 eligible providers and hospitals with complete EHR's have successfully attested. Not only do these dually certified EHR systems make it easier to operate in a clinical environment but they have proven help those who have begun integrating electronic medical records to meet meaningful use requirements at varying stages, and thus gain the benefit of the added incentives, more efficient work flow and ultimately better patient care.